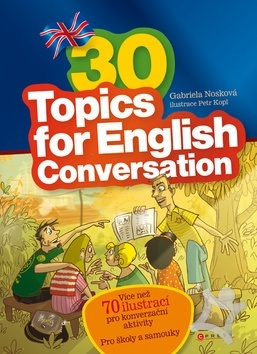 This publication helps not only students, but also teachers of English language as it offers additional vocabulary for 30 various topics, additional questions which should encourage also your shy students to talk not only individually, but also in pairs or even in groups. It includes also more than 70 interesting and funny illustrations. This book consist of the lists of vocabulary and Czech translations, but it does not mean that it is ment for only Czech and Slovak students and teachers, because you can translate those words you need into your language by yourself. Questions are written in English.